Structured Events range of Nivtec Staging, handrails and stairs are ideal solutions for creating camera risers of any size over any surface. 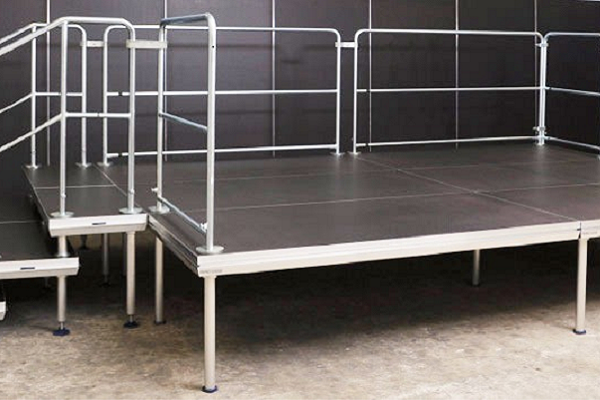 Our flexible adjustable legs range between 400mm and 1400mm so risers can be built over tiered seating and on slopes with reliable and safe results. If your looking for a camera riser hire for your next event contact our team.